Should I Get a Business Loan or an Investor? “Should I get a small business loan or find an investor?” The short answer is, it depends. There are a lot of factors that go into play when making that decision and each decision has the potential to forever change the course of your business. Don’t make the decision lightly. Here are some of the biggest pros and cons of each route for you to consider. The nice part about getting a business loan is that no one else gets a part of your business. You borrow money from a lender, pay them back, part ways with the lender, and at the end of the day, you still own 100% of your business. When you own and operate 100% of your business, you can do whatever you want with it. Want to change your menu or start selling a new line of something? Great! Go right ahead. A business loan allows you to make whatever decisions you want, no matter how crazy or unorthodox. Say you’ve had a killer year and your revenues are through the roof. Everyone wants results like that, right? Of course! And when you own your business outright, you get to keep every last penny of the profits you make. When you get a small business loan, you are simultaneously building your credit. Were you only able to qualify for only a small amount and hit with a high interest for your first loan? Once your current loan term is up (assuming you’ve made timely payments), you will have built your credit and increase your chances of getting a larger loan with lower rates the next time around. 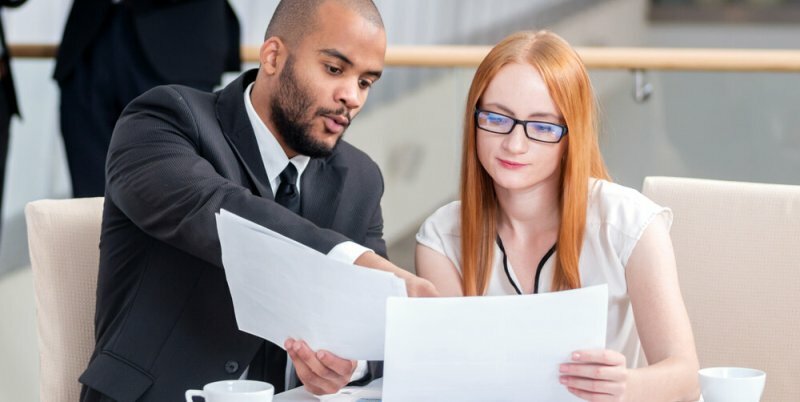 If you have an immediate need that will likely be fixed or solved in a short period of time, a small business loan is absolutely the way to go. Even if your loan term is 3-5 years, once that timeline is up, you own your business free and clear. Investors are in it for the long haul and will likely be around as long as you are in business. It’s not worth it to give up a portion of your company if you only need short-term assistance. If you want finances you know you can count on, you are actually safer with a business loan. Why? Because if you take out a loan for a certain amount, you can count on that money to help run your business. A lender can’t back out of a loan. Sure, they require payments and if you don’t pay, they will cash in on collateral or whatever else you put up to secure the loan. But as long as you are in good graces with the lender, they’re not going to change their mind. An investor on the other hand, can decide one day that they are no longer interested and take their financing with them. Yes, that pesky thing called interest that we all despise. Yet, it’s a necessary evil if you want to secure funding for your business endeavors. Rain or shine, your payment WILL still be due on the due date and there is no negotiating around that. Whatever terms you agreed to with the lender are the terms they will hold you responsible for, so if you have a tough month and don’t have enough to make your payment, the lender isn’t invested in your business so they won’t care. All they’ll want is your payment and they will do whatever they can to make sure they get it. If you are a newer business or a startup, you may not have enough credit built up to secure a loan based on merit and credit alone. In this scenario, lenders will often require you to put up collateral that is worth the value of your loan, to protect their interests in the event that you don’t pay. If your business doesn’t have much in terms of collateral, you’ll likely have to put up personal assets such as your house or a car. When you take out a small business loan, you are responsible for that amount and that will never change. 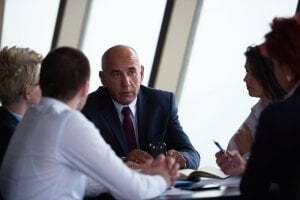 Depending on how you set up your business, there is a very likely chance that if you don’t pay they can not only liquidate your business to cover your business debt, but they can also come after your personal assets as well. This is why many small business owners choose to become an LLC – to protect their personal assets. 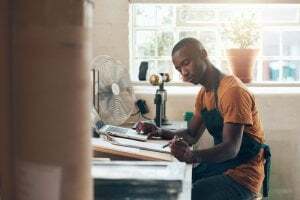 If you’re just starting your business and you need cash in order to start but don’t have enough business credit to secure a small business loan, an investor can be a great idea. They will provide you with the funds needed and won’t require you to repay it either! Investors realize that there is always a risk associated with investing in a new company. So, unless it is explicitly stated in your contract with the investor, if your company fails, you are not responsible for any repayment. When an investor gives you money for your business, there is absolutely zero interest you have to worry about, and no monthly payments either. It is definitely a lot nicer to not have to worry about if you will have enough to make your payment for the month. If you’re new to running a business, the advice and mentoring of an investor can prove to be invaluable. Investors have typically “been there, done that” and they know the pitfalls to avoid as well as tips and tricks. If you want immense amounts of help along the way, this may be a great option for you. If you know what you’re doing and have a clear vision of how to get there, you likely won’t be able to execute your plan exactly. Because investors have money invested in your business now, they want to make sure they see that return. This sometimes means that they will dictate how you run your business based on their own experience. This can become cumbersome and frustrating, especially if you started your business to be your own boss. If you give up too much equity in your company, you will no longer be the primary shareholder. With that means that all the other shareholders combined hold the majority of your business. If you get to that point, they could very easily vote you out of your own company! While you may not have to worry about interest payments on a loan, you do have to worry about sharing your profits here. If your business isn’t making much yet, then this may not seem like that big of a deal. But once your business really starts to take off, suddenly the interest rates of small business loans begin to sound very appealing. Depending on your revenue, the amount you end up having to pay to shareholders runs the risk of being far higher than any interest payment. The important thing to remember is that there is no wrong answer. What direction you choose is entirely up to you and your immediate needs. If your needs are short-term, you are almost always better off with a small business loan. But if you want ongoing funds with lots of advice and you’re willing to relinquish part of your business for it, investors may be your best bet. The most important thing is that you are happy with your business and have the funding that you need to grow it!